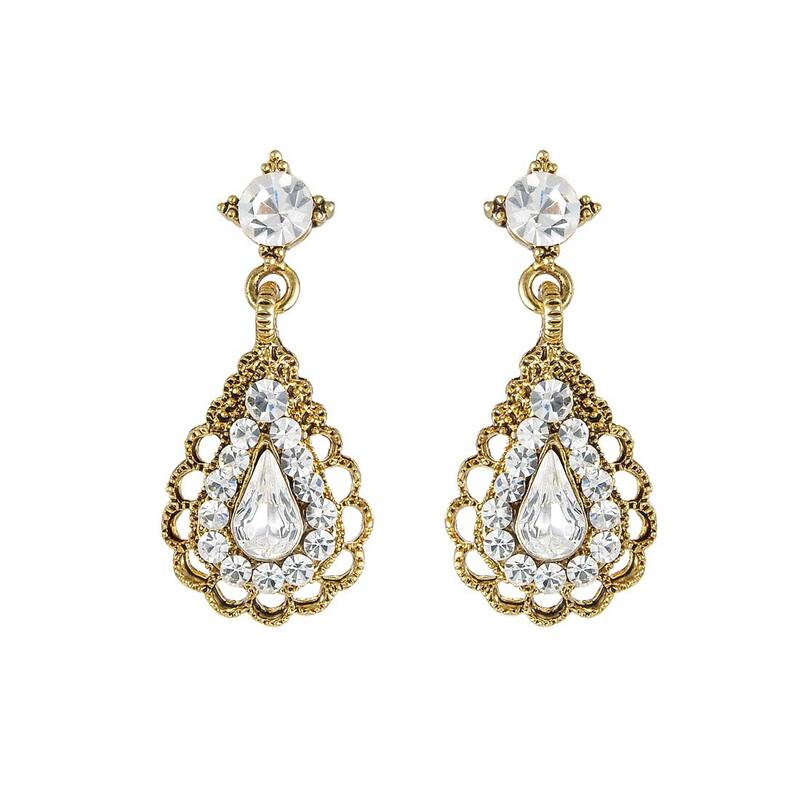 Inspired by diamond earrings, this ornate antique gold tone pair is chic and stylish. Timeless and classic, these antique gold tone earrings feature a pear shaped crystal drop with scalloped edge and are suspended from a single Austrian crystal stud. Taking inspiration from genuine vintage earrings, their versatile size is just perfect if you adore beautiful but more subtle drop earrings. Easily mistakable for diamond earrings, these would also be exquisite wedding earrings for brides or bridesmaids.